2014 is well underway. 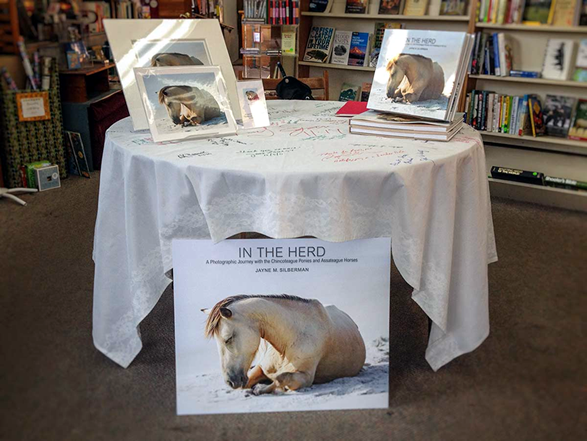 We are celebrating the second edition release and launch of IN THE HERD (January, 2014) with more book signing events this year. If you would like to host a book signing event for In the Herd, please contact me. Book events and signings have been hosted for me in a variety of settings. Suggested venues include but are not limited to: equestrian shops; gift boutiques; independent bookstores; private and public barns; horse shows; equine and holiday events; and libraries. · I will bring the books and can provide a display copy in advance. · I have promo materials and will also help advertise. · I can bring an image slideshow and/or a few large canvasses if you have the space. · If your venue is an equine-related fund-raising event, I will donate 10% of book and print sales to your endeavor. · If your event is a horse show, I am happy to provide some books for prizes. · Additional books? No worries. They often sell out at these events. I will send retailers the signed books they need to fulfill all sales.